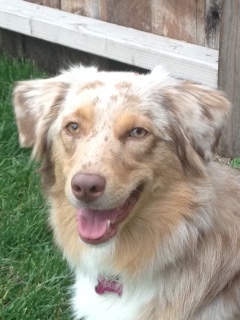 My 15 month red merle "Sassy" loves everyone she knew as a puppy, cuddly, gentle, loving. 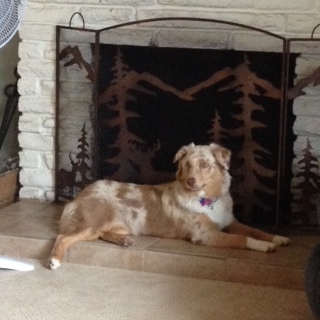 Anyone she didn't know she becomes crazy, barking, growling, hackles. She is managed well on walks and attends doggy day camp three days a week, all well managed. My question is: Is correction training inappropriate for this fear filled animal... is positive reinforcement the only way to go? I need help, my husband wants to get rid of her and my heart is breaking. I am reaching out, desperately. Our Ozzy is 4 years old and has had fear /aggression thing since day one. He now only barks at what we think are the questionable people. Get rid of the husband and keep the Aussie! You are doing the right thing, keep at it.